If you would like to arrange for a separate reunion for your class, please contact Mary Theresa Gill McCombe ’75 at marytmccombe@gmail.com for assistance in reaching out to your classmates. 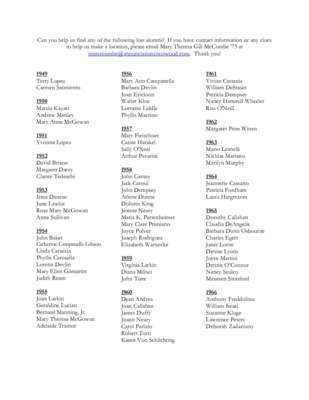 On Saturday November 3, 2018 at the 5:00 p.m. Mass, Annunciation will remember the deceased alumni of Annunciation School. The school’s students make a promise to pray for the deceased alumni during the month of November. Family members, for whom we have current mailing or email addresses, will be invited to attend. If you are uncertain if your family member is included in our list of deceased, please contact Mary Theresa McCombe at marytmccombe@gmail.com.  Please consider making a donation to The AES Crestwood Foundation, Inc. All donations to the Foundation will benefit Annunciation School and are tax-deductible to the extent allowed by law. The AES Crestwood Foundation, Inc. is a 501(C)(3) organization. Click here for information on how to make a donation and support a quality, parish-based Catholic education.